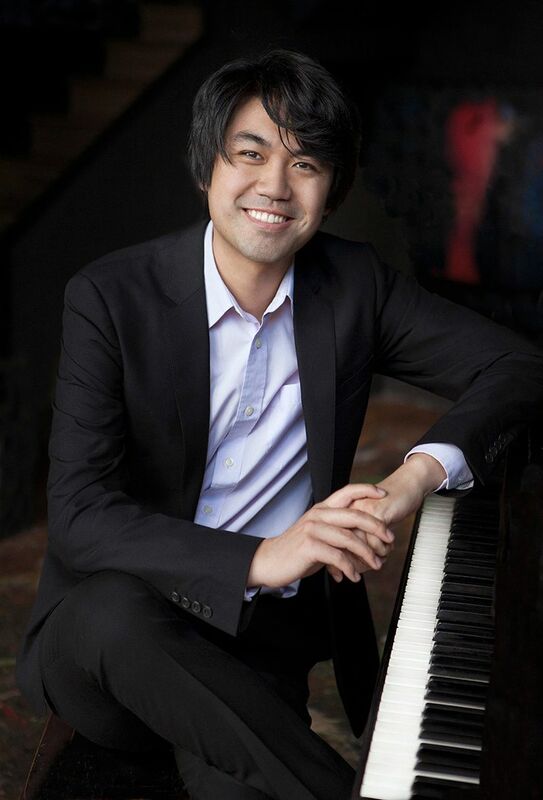 Hailed as a charismatic rising star with “an exceptional ability to connect with an audience combined with an easy virtuosity” (Huffington Post), American pianist Sean Chen, winner of the 2013 American Pianists Awards and third prize winner at the 2013 Van Cliburn International Piano Competition, has continued to earn accolades for “alluring, colorfully shaded renditions” (New York Times) and “genuinely sensitive” (LA Times) playing. He was named a 2015 fellow by the prestigious Leonore Annenberg Fellowship Fund for the Performing Arts. Mr. Chen has performed with many prominent orchestras, including the Fort Worth, Indianapolis, San Diego, Knoxville, Hartford, Louisiana Philharmonic, Milwaukee, North Carolina, Pasadena, Phoenix, Santa Fe, and New West Symphony Orchestras, as well as the Chamber Orchestras of Philadelphia, Indianapolis, and South Bay. He has collaborated with such esteemed conductors as Leonard Slatkin, Gerard Schwarz, Nicholas McGegan, Miguel Harth-Bedoya, Marcelo Lehninger, and James Judd. Solo recitals have brought him to major venues worldwide, including Jordan Hall in Boston, Subculture in New York City, the American Art Museum at the Smithsonian in Washington, D.C., the National Concert Hall in Taipei, Het Concertgebouw in Amsterdam, and the Salle Cortot in Paris. Mr. Chen has served on the juries of such notable piano competitions as the Thailand International Piano Competition, Cleveland International Piano Competition for Young Artists, and Steinway competitions in Kansas City and St. Louis. Lauded for his natural charisma and approachable personality, Mr. Chen is particularly in demand for residencies that combine performances with master classes, school concerts, and artist conversations, which have brought him to institutions such as the Cleveland School of Music, Indiana University, University of British Columbia, Spotlight Awards at the Los Angeles Music Center, Young Artist World Piano Festival, and several Music Teachers’ Associations throughout the country. His CD releases include La Valse, a solo recording on the Steinway label, hailed for “penetrating artistic intellect” (Audiophile Audition); a live recording from the Cliburn Competition released by harmonia mundi, praised for his “ravishing tone and cogently contoured lines” (Gramophone); and an album of Michael Williams’s solo piano works on the Parma label. Mr. Chen has also contributed to the catalog of Steinway’s new Spirio system. A multifaceted musician, Mr. Chen also transcribes, composes, and improvises. His transcription of Ravel’s La Valse has been received with glowing acclaim, and his encore improvisations are lauded as “genuinely brilliant” (Dallas Morning News). His Prelude in F# was commissioned by fellow pianist Eric Zuber, and subsequently performed in New York. An advocate of new music, he has collaborated with and performed works of many contemporary composers, including Lisa Bielawa, Jennifer Higdon, Michael Williams, Niccolo Athens, and Michael Gilbertson. Mr. Chen is currently living in Kansas City, where he is the Artist-in-Residence at the University of Missouri, Kansas City, and his wife, Betty, is a violinist in the Kansas City Symphony. When not at the piano, Mr. Chen enjoys tinkering with computers. He is a Steinway Artist.